Coaches can often remember the moment they realized a player was special. 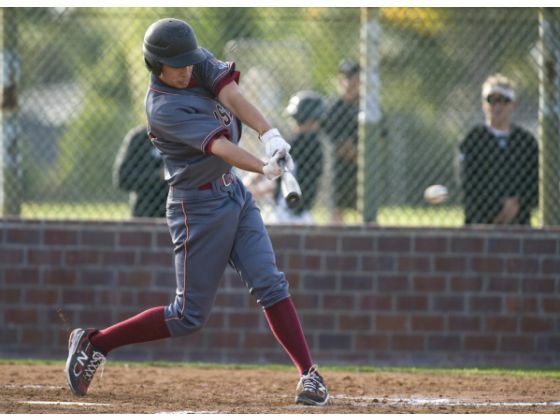 Ask JSerra baseball coach Brett Kay when he identified Chase Strumpf as a can’t-miss talent and the answer comes easy. It was the summer of 2010 when a 12-year-old Strumpf strolled into Kay’s youth baseball camp at JSerra Catholic High School. It was the first year Kay held the camp and only about 15 kids showed up. Kay says now that Strumpf really had no business being there. He was too advanced. Two-and-a-half years later, Strumpf, of Ladera Ranch, plays for Kay here on JSerra’s St. Pierre varsity baseball field, smacking singles and doubles off pitchers several years older than him and fielding hard-hit groundballs at shortstop with the composure of an upperclassman. Just a handful of games into his freshman season, Strumpf, who turned only 15 on Friday, is opening eyes at JSerra. The 6-foot-1, 175-pound shortstop entered the weekend a team-best 6 for 14 and has already showed his uncanny ability in the field.